Ashghal officials explaining the works carried out in Wakrah in 2016 and 2017. 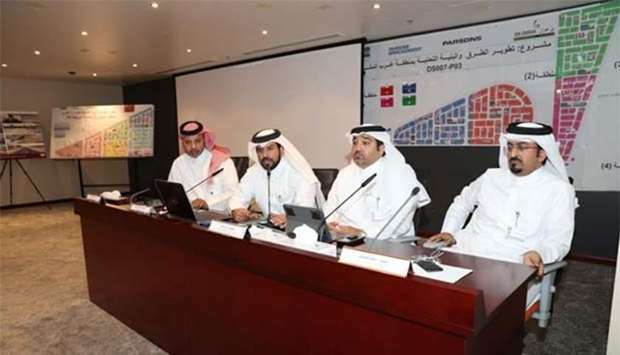 Ashghal has announced the completion of four roads and infrastructure development projects in Al Wakrah Municipality and showcased at a meeting the relevant infrastructure, expressway, and main roads projects. Ashghal's Roads Projects Department manager and senior engineer Saoud Ali al-Tamimi and Highway Projects Department assistant manager and senior engineer Badr Mohamed Darwish and a number of section heads and engineers were also present. Speaking at the meeting, al-Buainain expressed appreciation for Ashghal's launching of a series of projects within Al Wakrah Municipality and its efforts for meeting the requirements of the Wakrah residents. 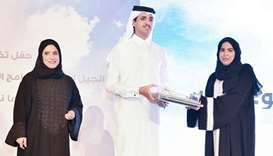 In a presentation, al-Tamimi said many projects were implemented in Al Wakrah. He also recalled Ashghal completed two roads and infrastructure development projects in the residential areas of the citizens’ land plots in North Al Wukair and West Al Mashaf (Phase 3). The two projects include 1,829 residential plots and are part of the plan to develop roads and infrastructure that serve more than 10,000 residential plots for citizens’ sub-divisions in various areas of the country. Ashghal also completed two roads and infrastructure development projects in the residential areas in Al Wakrah West as well. Al-Tamimi later gave an overview on the roads and infrastructure development projects being implemented in Wakrah. 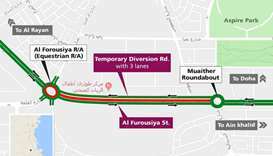 They include the Al Mashaf West Roads and Infrastructure Development Project (package 4) which comprises the development of approximately 7km of roads and four signal-controlled intersections. There is also a provision for street lighting and the construction of a 23km long drainage network. The projects in Al Wakrah are aimed at the development of the road connecting the Commercial Road to Al Wakrah Main Road (Packages 4, 5, and 7) as well as the road improvement works within Zones 90-95 (Phase 4). It consisted of the construction of new roads and the improvement of existing ones with a total length of 55km. This is in addition to the roads development project west of Al Mashaf (Package 4). Al-Tamimi also informed that works on several projects as part of the Local Areas Infrastructure Development Programme are scheduled to be started later this year. They include the roads and infrastructure development project of the government subdivision areas in Al Wukair South and the roads and infrastructure development projects in Al Wukair (Packages 3, 4 and 5). In his presentation, Darwish spoke about the Expressway projects opened to serve Al Wakrah, Al Wukair, and Al Mashaf areas and connect them to the other areas of the country. 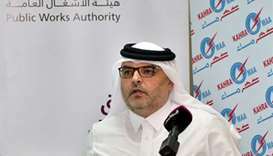 They include the Orbital Road, Hamad Port Road and Al Wukair Road (Bu Ghurban Interchange) which is a three-level free-flowing junction that will provide Al Wukair residents with a direct link for Mesaieed from one side and Doha from the other side via the G-Ring Road. This interchange will facilitate the traffic movement of the heavy vehicles from and to Hamad Port, G-Ring Road, Industrial Area, and Orbital Road. This interchange will also improve the traffic movement of road users heading from Mesaieed towards Doha, G-Ring Road, Industrial Area and all the way to Salwa Road.